Use our online Interpolation calculator. 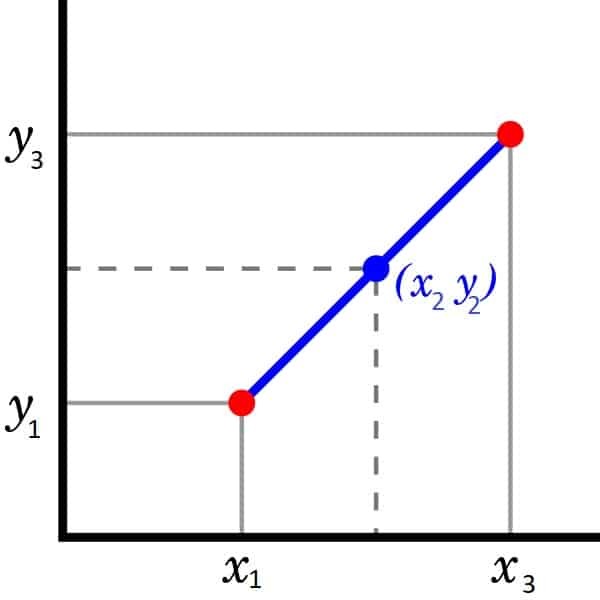 In mathematics, linear interpolation is a method of curve fitting using linear polynomials to construct new data points within the range of a discrete set of known data points. If the two known points are given by the coordinates, the linear interpolant is the straight line between these points. For a value x in the interval , the value y along the straight line is given from the equation of slopes.